Dhoni is obviously in this list. But no, he is not the number 1! The Indian Premier League (IPL) season is back again. The most-awaited T20 tournament of the year is nearing, and fans cannot wait to witness its 12th edition. The tournament is set to kick-off on the 23rd of May between the Virat Kohli-led Royal Challengers Bangalore (RCB) and the MS Dhoni-led Chennai Super Kings at the M. A. Chidambaram Stadium in Chennai. This South-Indian Derby is one of the most-awaited matches in the tournament. As we build up for this epic encounter, we will look at the all-time record of dismissals for a wicket keeper in the IPL. Number 3 and Number 1 in this list will surprise you, so stay tuned to the post till the very end! 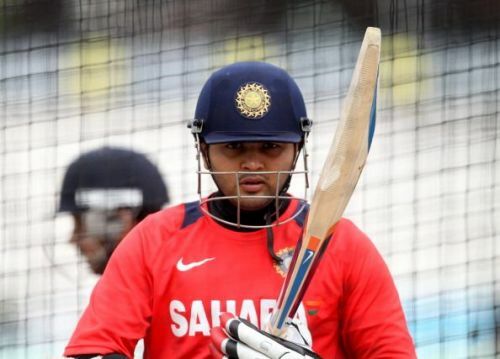 At number 5, we have the pint-sized superstar from Gujarat, Parthiv Patel. The 34-year-old is one of the most talented wicket keepers in the country. Being short has worked as an advantage for him in the wicket-keeping section. As a reason, Patel is quick with his glove work against the spinners. Currently, he plays as an opening batsman for the Royal Challengers Bangalore. In the past, he has represented as many as five other teams: Chennai Super Kings, Deccan Chargers, Kochi Tuskers Kerala, Mumbai Indians and Sunrisers Hyderabad. In the 125 matches that he has played so far in IPL, Parthiv has effected 74 dismissals in total. He has 60 catches and 14 stumpings to his name, and his dismissal rate is a healthy 0.685 dismissals per innings. RCB will be hoping for a good form from Parthiv in the 12th edition of the Indian Premier League, both in the batting and the wicket-keeping departments.